Rare easy chair designed by Ib Kofod Larsen for Selig Imports, Denmark 1962. 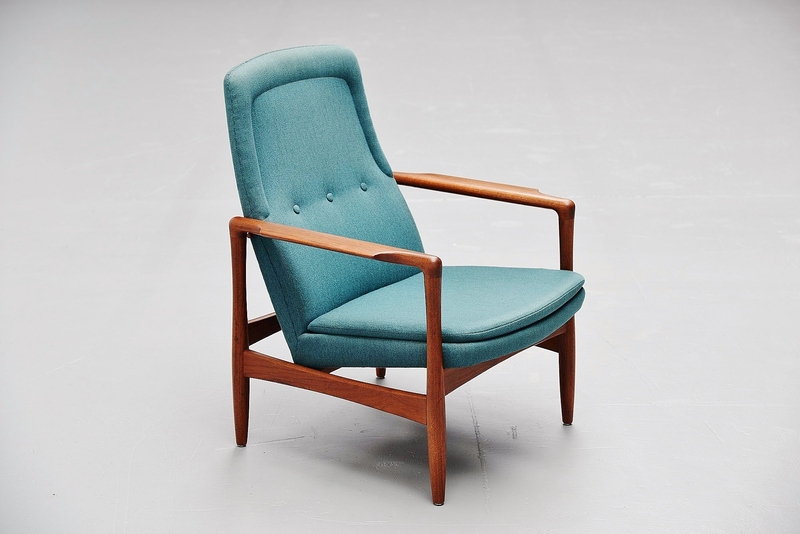 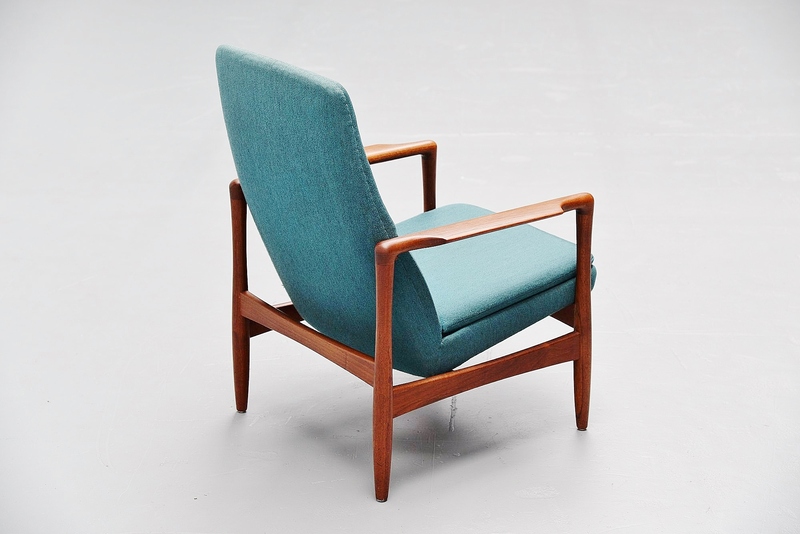 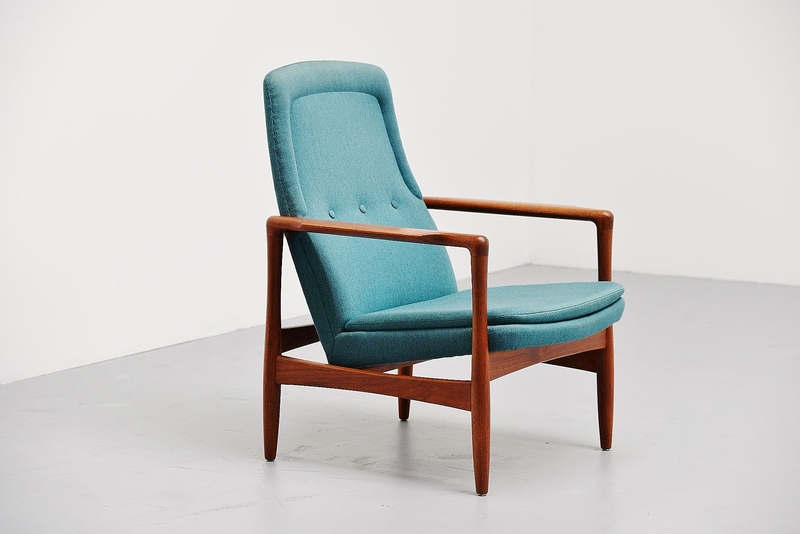 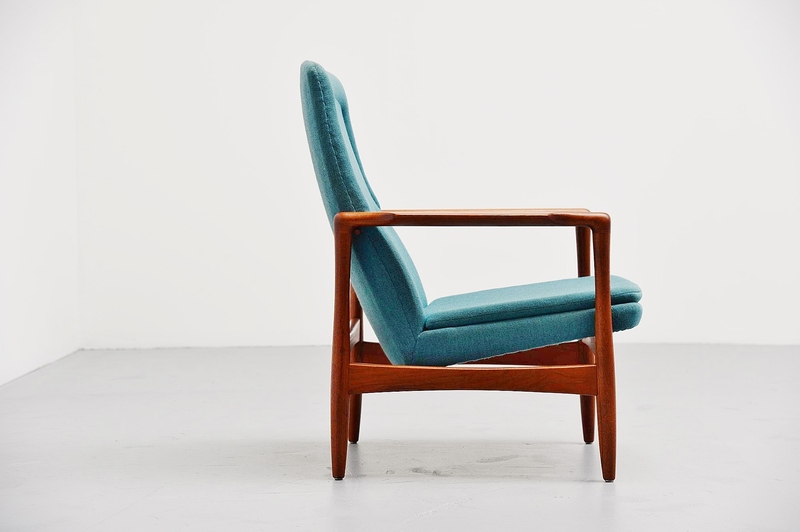 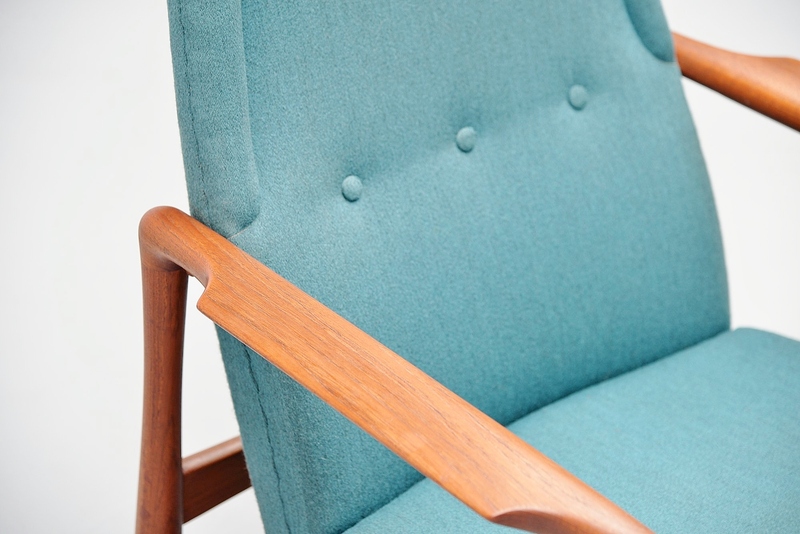 This chair has a solid teak wooden frame and original blue upholstery which was still in perfect condition. 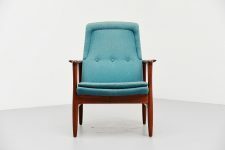 We just renewed the foam of the seating cushion as this was in bad shape. 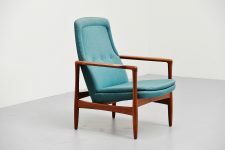 The chair has very nice organic lines as we are used to from Ib Kofod Larsen. 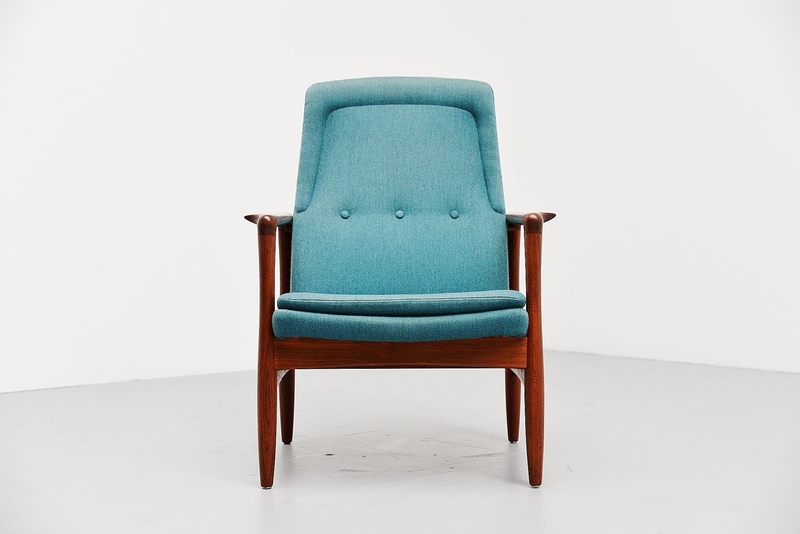 Superb shaped chair, comfortable seat and in museum condition.